Be Belle's guest in this interactive show. Enchanted Tales with Belle is part interactive theatre, part character meet and greet, and totally entertaining for all involved. 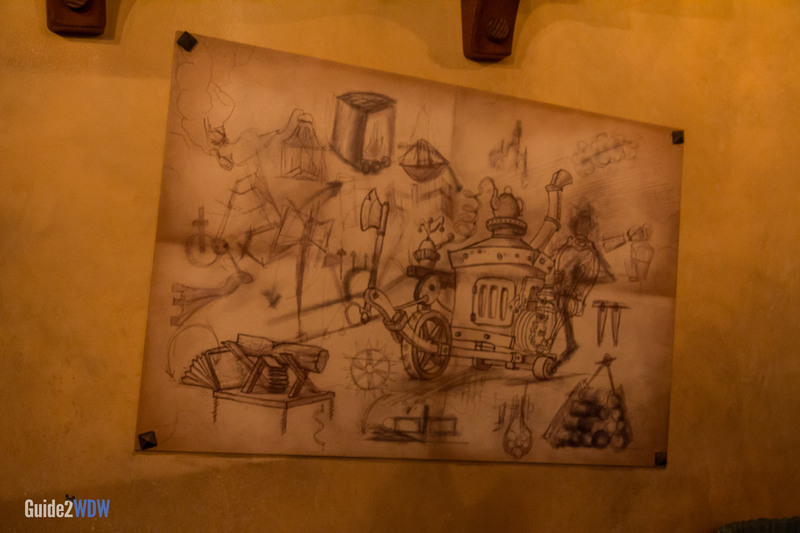 Guests enter through Maurice’s cottage, where they can see details of where Belle grew up, as well as Maurice’s tools and contraptions in his workshop. Through one of the most stunning special effects at Disney World, the mirror in Maurice’s workshop is transformed into a portal that guests walk through to get to Beast’s Castle. 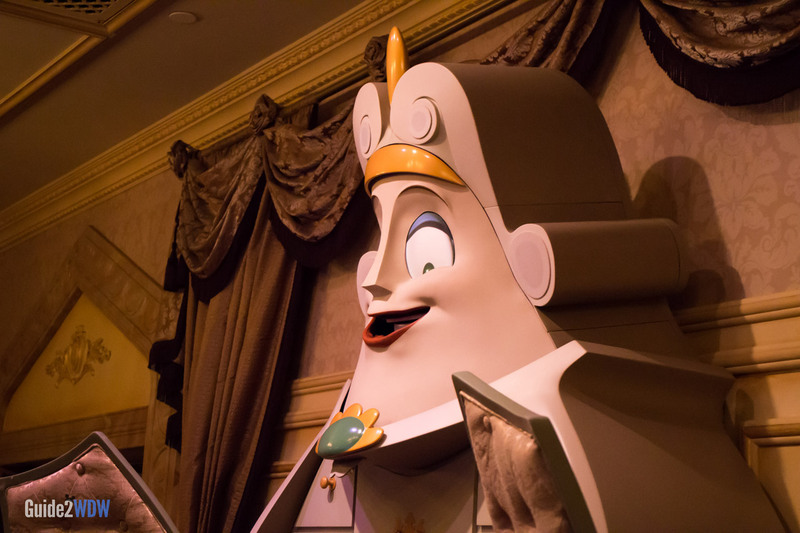 Once guests have walked through the portal, the Wardrobe, aka Madame de la Grande Bouche, informs everyone that they are going to surpise Belle and act out a story with her. Madame hands out roles to the guests ranging from Philipe the horse to Chip to the Beast himself. Don’t worry, no great acting skill is required here. Just a playful attitude. While most of the roles are handed out to kids, there are a couple of roles for adults. So, for the grownups out there wanting their shot at the stage, prepare your best Suit of Armor performance. 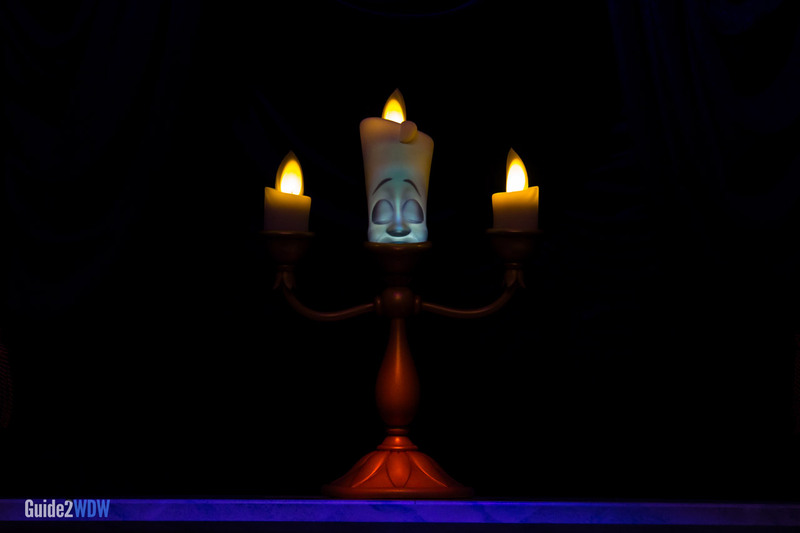 Once the roles have been doled out, Lumiere naturally takes up the hosting duties and guides the story along. Guests will reenact the story of Beauty and the Beast up to the iconic ballroom dance along with Belle. At the end, Belle will take pictures will everyone who played a role in the story. This is a step above the usual character interaction found at theme parks. Each of the preshow elements provide a great deal of entertainment, and the actual show with Belle has been thoroughly enjoyable each time I’ve seen it. 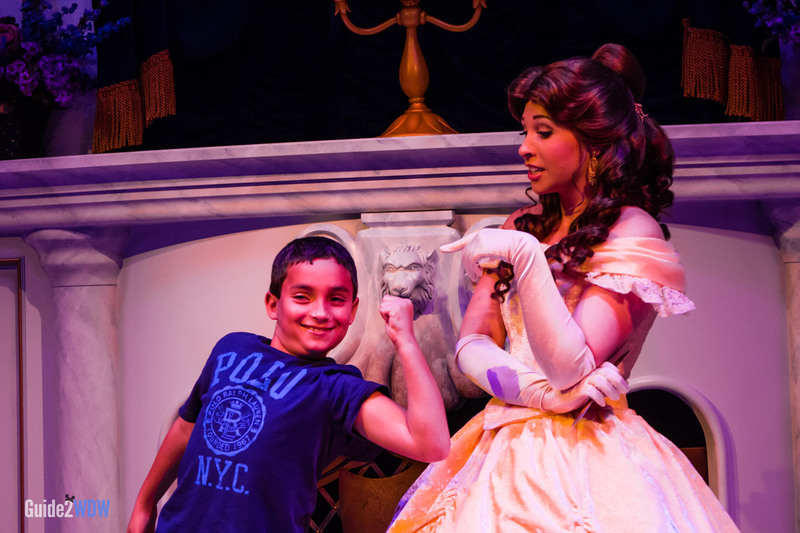 Enchanted Tales with Belle is worth checking out for guests of all ages, but if you or your little one is a fan of Beauty and the Beast, this will easily join your usual Walt Disney World rotation when you visit. Roles seem to be given out to those who volunteer. Since Belle does not sign autographs, getting in the show is a great way for a kid to both interact with Belle and get their picture taken with her. If you want to interact with Belle, be sure to speak up and volunteer! Be sure to get the PhotoPass card after you exit. This is how you get your pictures with Belle. When entering Maurice’s workshop, grab a spot where you have a good view of the mirror. The effect of it transforming into the portal to Beast’s castle is true Disney magic. This is a good option for Fastpass+. While the queue is intricate and detailed, the line can be a bit slow moving. The Fastpass+ entrance takes guests straight into Maurice’s workshop, where the preshow begins. There are tons of great details in the queue. 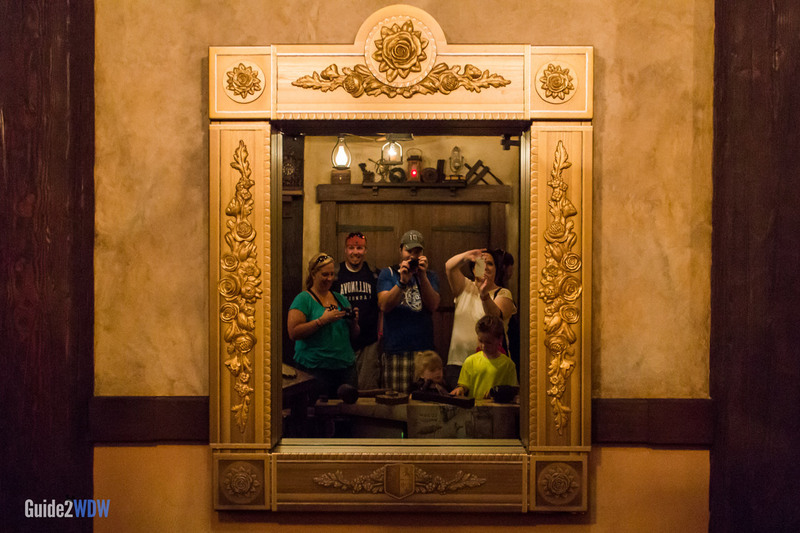 Pay attention to this mirror for one of the best effects at Disney World. Madame de la Grande Bouche gives out the roles before the show. Guests can interact with Belle!